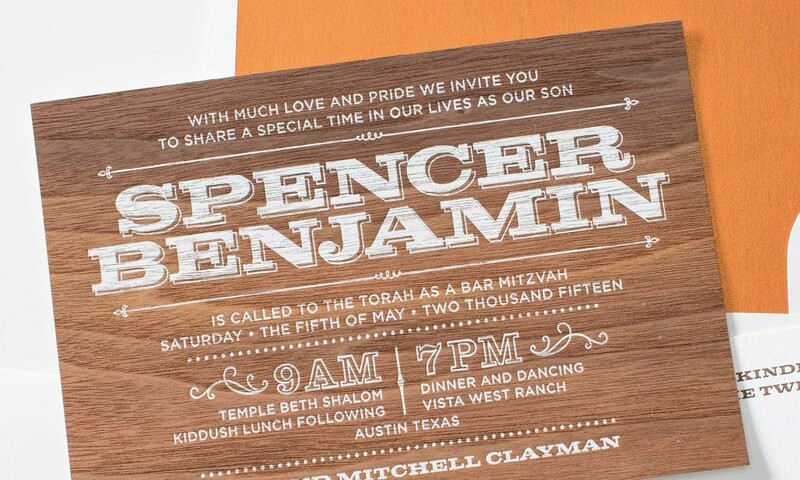 Rustic wood is everywhere this year, on walls, furniture and invitations! 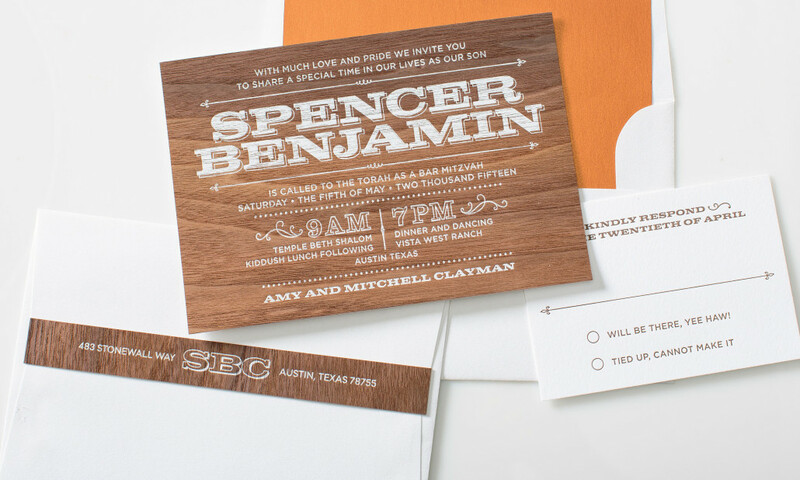 This Texas themed invitation set is printed on real dark wood veneer and combined with bright white and metallic copper accents for an upscale, yet industrial feel. The return address strip on a white envelope creates a preview of the invitation inside.